Our goal at CBPT is to care for & serve our patients both during & beyond their time with us. We will bring you practical information on how to eat, exercise, work, love, parent & play in the healthiest way possible. Physical therapists are knowledgeable in helping you enjoy life pain free, but we are also experts in movement, health, & wellness. We have the answers you need to allow you to live pain free, AND enjoy Life PLUS health! Our seasonal newsletter, blog & plenty of online video tutorials are meant to coach you on how to live your life to the fullest. We’ve made it all accessible online so you can share the wealth with family and friends! 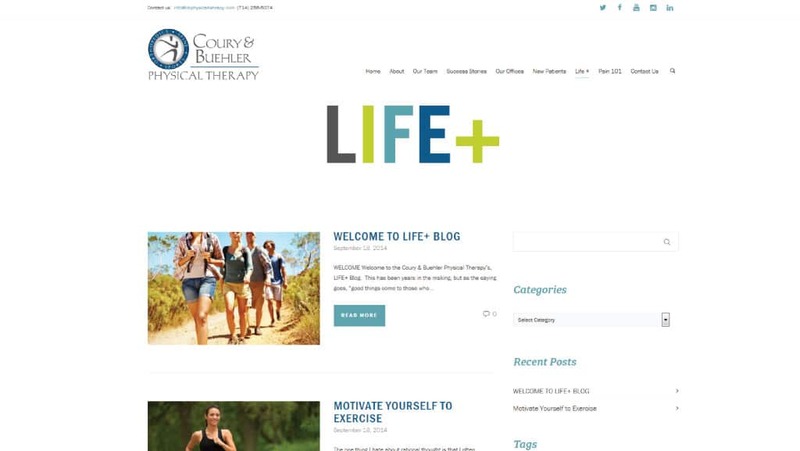 HAVE TOPICS OR SUGGESTIONS FOR LIFE+? TELL US!